Coming into a game series part way through is always an uphill struggle. It reminds me of being at parties growing up and trying to side step into a circle of people and join their conversation only to realise every time I say something it has been said before and I just have no understanding or place in this social situation. 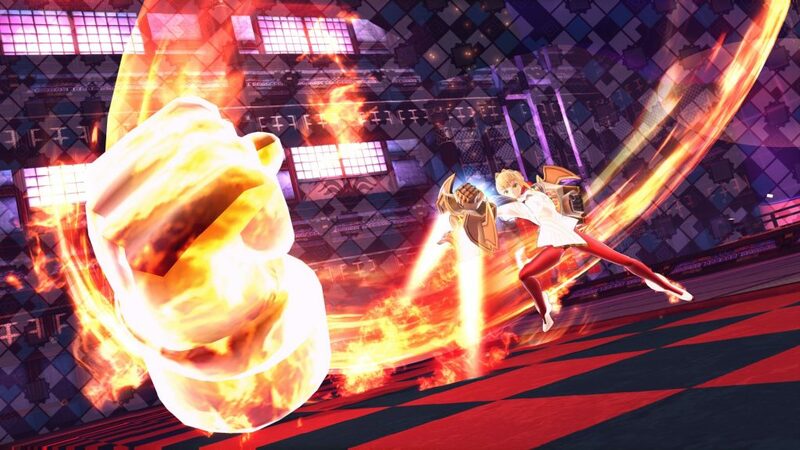 Jumping into Fate/Extella: The Umbral Star on PS4 has much the same feelings for me, I want to understand and be involved because there’s clearly something cool happening here, but I just seem to stare blankly as everyone talks near my general direction. 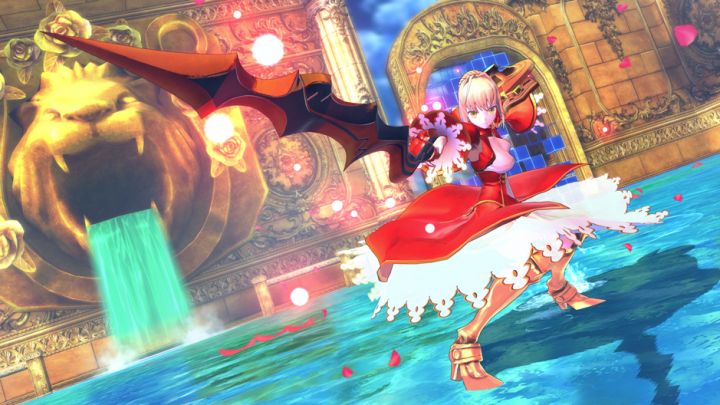 Released on PS4 and Vita; Fate/Extella: The Umbral Star is at this stage an unknown number in this anime brawler series. Having not touched any others it comes as no surprise that I was a little lost at the start of this game. Outside of video games anime is a real passion of mine, but I know how impenetrable it can be as an interest. For example after my recent trip to Japan I saw how huge One Piece is, on my return I’ve been knocking through that with my partner and we’ve only scratched the surface despite being 168 episodes in. If I tried to explain the plot I could just say Pirates, and if I tried to explain Fate/Extella: The Umbral Star I could just say ‘the moon is a computer that people war over with their subconscious’ AI’ but even then I feel like it’s a complicated affair. The game starts after the Holy Grail War, which was a huge battle to determine who laid claim to the moon computer, which grants wishes. Saber, our lead lady at first, has a ring, the Regalia, and with it she is the big badass of the land. Unfortunately she’s not the only one with a ring and this is the main thrust of the story. You control Saber (and others) in battle, somehow being a mute persona of someone’s subconscious means you get to be her ‘master’. And once you have your head around those ‘basics’ you’re ready to go, oh wait no, have some text first. It’s not uncommon in Fate/Extella: The Umbral Star for you to have to sit through 20 minutes of dialogue. This isn’t always a bad thing, the writing is incredibly strong, despite a lot of fluffiness and a wonderfully silly love angle for a number of your interactions. The reason I take issue with this is because the main action of the game is so cool and so much fun. 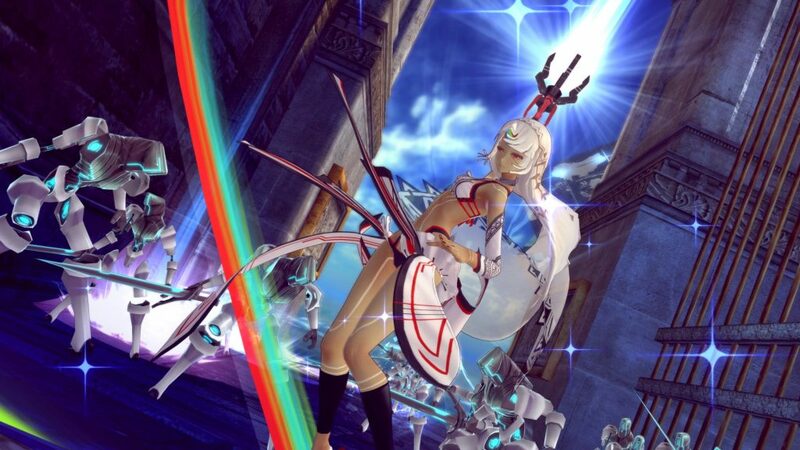 The game clearly takes it’s inspirations from games like Dynasty Warriors and the other ‘…Warriors’ games. A map made up of a number of areas is presented before you, each time with a different theme; be it Kyoto style shrines, gritty industrial area or just a floating heavenly castlescape. In each section of the map, connected by flying roads, you are greeted by hundreds of enemies that you must hack and slash your way through sending bodies everywhere and easily giving you the opportunity for a many thousand hit combo as you just sweep through them 20 at a time. Your task is to control as many areas as possible reaching the target before your opponent. To lay claim you must use your heavy and light attacks, sprinkled with specials and other abilities to mow down the horde to encourage the spawning of an Enforcer, once enough Enforcers are disposed of you own the area and can move on. When this high intensity battle is over you are returned to text, a lot of text. It just leads to some real pacing issues as you try to work out if this is a visual novel with some combat or a 3rd person brawler with some visual novel elements. A lot of the game is balancing the map, looking at the point value of each area and which of your claimed areas are getting retaken by the enemy. Very early in the game you learn that sometimes you just have to ditch the fight you’re in for the greater good of saving an old location or taking out something like a Plant that will cover nearby locations with more new enemies. It becomes quite a juggling act and can require a lot of attention for a 25 minute level, especially when the boss of each level (generally a girl in a weird outfit) decides to start giving you grief. Unfortunately these boss fights aren’t as epic as you would hope, instead they normally become you just hammering buttons and doing damage until they raise their shield at which point you wait 2 seconds for them to lower it before cracking back on. You are given the option to swap out your ‘Slave’ to one of the supporting cast but after doing it a couple of times I realised that, especially in the first story arc, you are better off just knocking through with Saber and spamming her sweeping sword attacks. This is all not to say there isn’t skill required, button mashing will work to an extent but you won’t build many combos or special meter to drop your big moves for the bosses. The game has a great artistic style, the anime gives a wonderfully eccentric epic style to the onslaught of combat and out of battle the long conversation sections are at least perked up by some great character portraits. The voice work is in Japanese but the translation process to English has done the job of making this game as cohesive as you could hope it to be considering its source plot. Unfortunately there’s some text in the middle of fights, and reading subtitles while keeping your combo going is nigh on impossible.